Almost every year, I develop a new learning theory that is not based on research or educational best practices of any kind. It is simply an opinion based on my experiences with students. 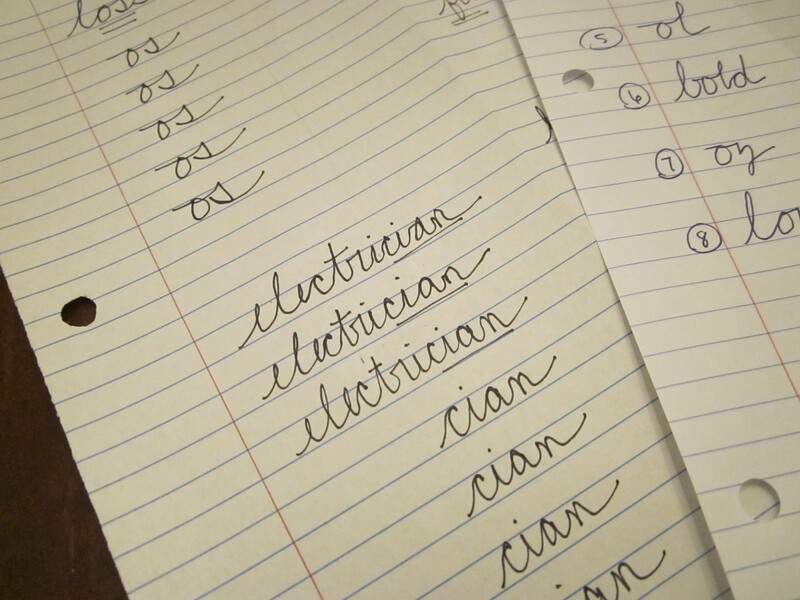 This year’s theory relates to the deterioration of spelling skills and the de-emphasis of handwriting instruction– cursive handwriting in particular. I partially blame e-mail and texting for the spelling problem, but I think the fact that schools do not demand better penmanship is a larger contributor to the increase in poor spellers I see every year. I suspect that students spell better when they spend time learning, practicing, and using cursive handwriting in the elementary grades. Cursive connects letters together creating a muscle memory between your hand and brain. Your brain will then remember common letter connections, patterns, and rules and subconsciously guide the hand to order letters correctly more often. Try to spell your own signature with a different letter order. It is difficult to force your hand not to put the letters of your name in the correct order. Your hand is on auto-pilot to write the name correctly. Students can achieve the same success with common words and common spelling patterns if they correctly write them in a connected way on a daily basis. Here are a few activities I am asking my students to complete this year. They work well at school or at home to reinforce the correct spelling of the words we use most often and the patterns that repeat frequently. 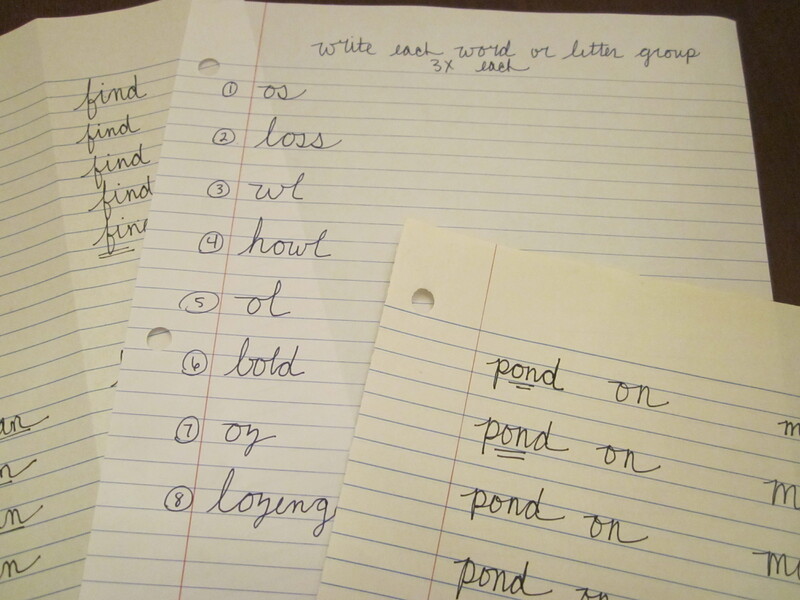 If you are looking for a new way to study for that weekly spelling test, have your child practice writing the words in cursive. Group words that have similar letter patterns and write the portion of the word that is the same in all words multiple times. For example, if the student has a handful of words in a list that end with the letters le (settle, riddle, struggle), require the student to write the letters le together 5 times or 10 times or 10+ times. I watch my students’ papers and track the cursive letter connections that are hard to form. M and n are particularly tricky because kids want to add an extra “hump” and don’t see that the hump is actually a connector piece. O is also hard to connect to the next letter because it ends “high.” Letter pairs like os and ol are challenging. 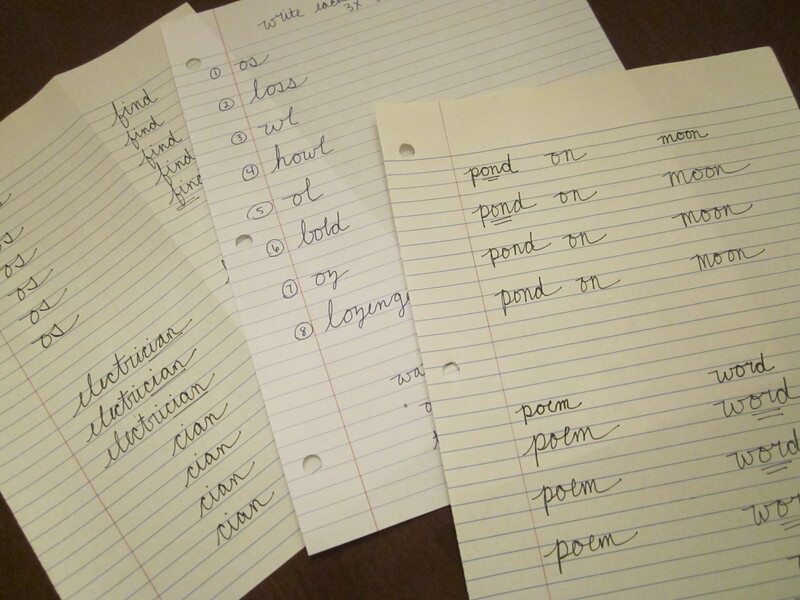 Compare the difficult connections with misspelled words and make a list of those letter groups. Practice writing the letter pairs together correctly. Always provide a sample with the correctly formed letters. Sometimes, this is the hardest part because my own cursive handwriting is adequate at best. I have tried harder this year because I need my students to be able to use cursive more effortlessly, so I can prove my theory. I will admit that I completed a mini Google search about handwriting and spelling. There are articles here and there that support my theory (ha, I knew I was right). While I also have my students complete a lot of keyboarding and typed writing assignments, I think there will always be a place for handwritten documents. If you have read any of my letter writing posts, you know how I feel about handwritten thank you notes! Does anyone else have an opinion? To purchase cursive handwriting practice pages at my TeachersPayTeachers store, CLICK HERE. Such great idea. The link to purchase doesn’t work.